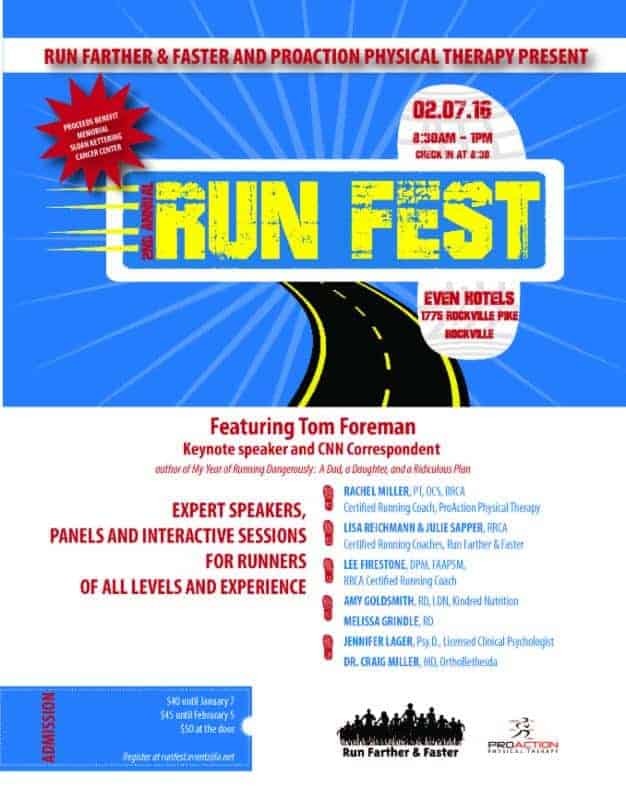 (Chevy Chase and DC K Street NW locations) will be speaking on "How To Run Strong As You Get Older" during RunFest 2016! The event, held on 2/7 at Rockville EVEN Hotels from 8:30-1, will benefit cancer research and treatment at Memorial Sloan Kettering. On the agenda: fitness classes (core, streng", "articleBody": "
FASMA doctor Lee Firestone (Chevy Chase and DC K Street NW locations) will be speaking on “How To Run Strong As You Get Older” during RunFest 2016! The event, held on 2/7 at Rockville EVEN Hotels from 8:30-1, will benefit cancer research and treatment at Memorial Sloan Kettering. On the agenda: fitness classes (core, strength and pilates), nutritional counseling, gait analysis, expert panelists and speakers, including Dr. Firestone, and keynote speaker/author, CNN Correspondent Tom Foreman. Breakfast and swag bags are included, along with raffles. Hope to see you there! Prior registration is required. Use this link for more information and to register.